We all know that the Internet has a general soft spot for nineties Nickelodeon, but the only time we ever catch glimpses of it is through screen-capped Creating Fun & Simple Screencasts Using ScreenChomp [iPad] Creating Fun & Simple Screencasts Using ScreenChomp [iPad] Most people would agree that video instructions are easier to understand than plain written words. That's why YouTube is chocked full with how-to videos. But making instructional videos is not everybody's cup of tea as... Read More pictures of its nostalgic shows and their now meme-ified characters. No one actually watches that stuff anymore, do they? Psych! Of course they do. However, it’s kind of tough to find any hints of the shows themselves online. Sure, there may be clips on YouTube, and you can stream stuff from Netflix, but more specifically, there has never been anything free out there… until now. Nick Reboot is a site devoted to broadcasting all your favorite nineties Nick shows, and it’s pumping them out in real-time. My friends, we have been spoiled with DVRs, YouTube, and Netflix Is Netflix The Solution to Video Piracy? [Opinion] Is Netflix The Solution to Video Piracy? [Opinion] Netflix recently launched in the UK - and I wrote up a full and shining review of the service last time. 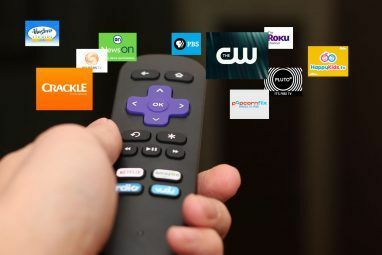 It offers an affordable way to get high quality on-demand movies and TV straight... Read More . Our new media has allowed us to watch whatever we want and whenever we want it. However, isn’t there something special – if not sacred – about tuning in at a specific time to watch your favorite show on television? It was that bit of freedom where you could let something out of your control – a chance to numb your mind and watch whatever was thrown at you. Fortunately, Nick Reboot is all about old-school television programming. Using the pre-established online broadcast service Justin.tv, Nick Reboot shoots out a steady stream of nineties (and early 2000s) Nick shows. The line-up is fairly decent with shows such as Rugrats, Clarissa Explains It All, and even Legends of the Hidden Temple. You’ll be zapped back into a simpler time, one in which kid and teenage television was actually pretty awesome. However, with all that said, I can’t say much for the legal status of this operation, but we might as well enjoy it while it lasts. The best way to enjoy televised entertainment is with friends, and fortunately, Nick Reboot does just that. On the site itself, you’ll be able to chat 10+ Great Online Tools For Group Co-Ordination & Meetings 10+ Great Online Tools For Group Co-Ordination & Meetings How do you manage a team of people who are spread out geographically? How do you co-ordinate international time zones? The concept of working via the Internet has begun to creep into the everyday workplace,... Read More it up with other nineties Nick fans in-browser. What makes it great, and this was based on conversations I saw, is that the conversation actually correlates with the current show! (I know it sounds silly, but it’s rare I’ll find a chat room that stays on topic. The natives seemed friendly, too. Imagine that). Beyond this, there isn’t really much left to Nick Reboot. There is a ghost-town of a forum associated with the site, but I really did not see a buzz of activity there. Additionally, the Facebook page has faced the same issue. However, just keep in mind that Nick Reboot is still in the start-up phase, so expect add-ons and likely more social activity as it grows. We all know that Nineties Nick was the best kind of Nick, and it’s pretty nice to see a round-up of all the shows we once loved. It’s even nice to see the 2000s thrown into the mix, because I’d have to consider the early 2000s to still be the nineties (kind of like how the early nineties were simply the late eighties). Overall, Nick Reboot a great little site with a simple purpose, and if anything, it does exactly what it is supposed to. That’s all one can ask for. What other nostalgia sites do you know about? What were your favorite nineties Nick shows? Matt is informing you that you do (should) not use the wheel to re hash your ctenont for several other keywords. Basically you could write a single article hash it up, open the wheel and for every directly relevant keyword hash the ctenont for that and thus gaining 1000s of long tail keyword positions.The tool and the way he talks about white hat is the giveaway. Ah yes, Nickelodeon... I remember watching it a fair amount when I was younger. However, there is one channel I watched even more... Cartoon Network! Specifically their Toonami block. And to my amazement, the Toonami faithful are still alive, well, and watching Toonami! It turns out a similar site exists for Toonami called Toonami Aftermath (http://www.toonamiaftermath.com/). It's great, has a lot of the old Toonami shows (even the good old Tom 1.0, 2.0, and 3.0 bumps), and has a fairly large and active community! Enjoy Toonami faithful! I know I have been reading your blog for a long time, but it rellay hits home when I see a photo of your daughter! Wow, she has grown! Yes, the weather is wacky this year. By now the a/c has been turned on at least once, the shorts and tees are out. Yet, here I sit in wool socks and long sleeved shirt. Soon enough it will be warm and perhaps I will appreciate it even more. Have a wonderful weekend. Meant to add to previous post ...How many of your coetsitunnts, given a choice, would rather the billions spent in Iraq were instead spent on hospitals, OAPs and schools. Why should the old be 'grateful' for a few hundred quid of winter fuel allowance when the disaster that is Iraq costs billions every year. Where is the justice in this.? Millions marched against the war, wars aren't exactly (New) Labour territory. Do you talk to your coetsitunnts about these things?Maybe if you weren't whipped into submission you may have had some backbone. I was interested in politics at school and university and was tempted to 'get in to it'. As I get older however the realism of a knackered democracy becomes ever clearer. Awesome, I love Nick cartoons especially spongebob.